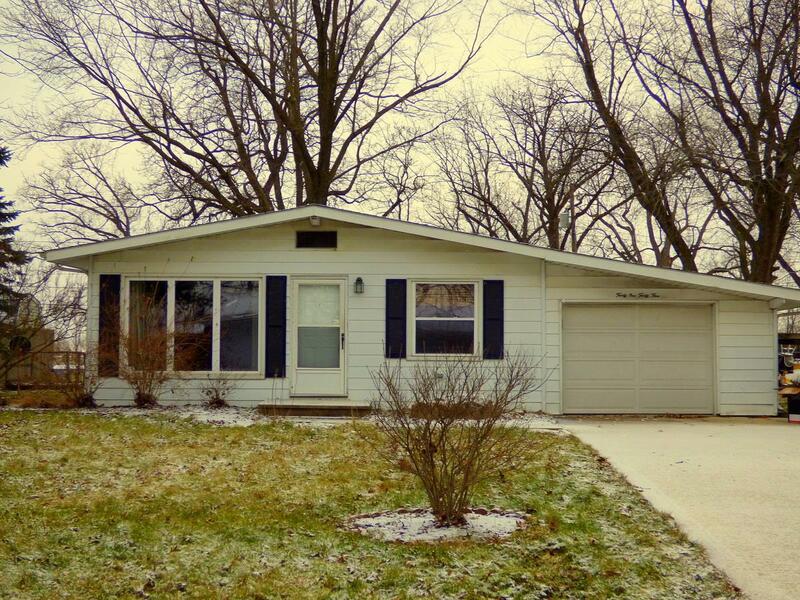 Check out this very attractive and very affordable ranch home on the city&apos;s southwest side. Just a short drive to the city&apos;s hottest shopping areas, this home offers 3 bedrooms and 1 1/2 baths on a nice sized lot with deck, shed, attached garage with an extra-wide newer concrete driveway. Big living room with lots of windows and ceiling fan. The updated eat-in kitchen has abundant cabinet storage, includes all appliances, and a built-in hutch/buffet. The master bedroom is roomy and features 2 closets. This home has lots of replacement windows, a separate laundry room with washer and dryer, mostly newer carpet and is move-in ready for that homebuyer who wants to be close to what&apos;s happening yet located on a low-traffic street.